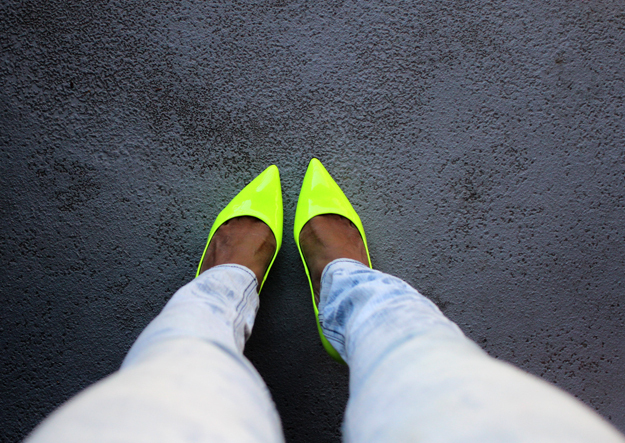 I'm still obsessed with neon colors, yellow to be specific. I'm really glad to see the trend is hanging in there for another season. 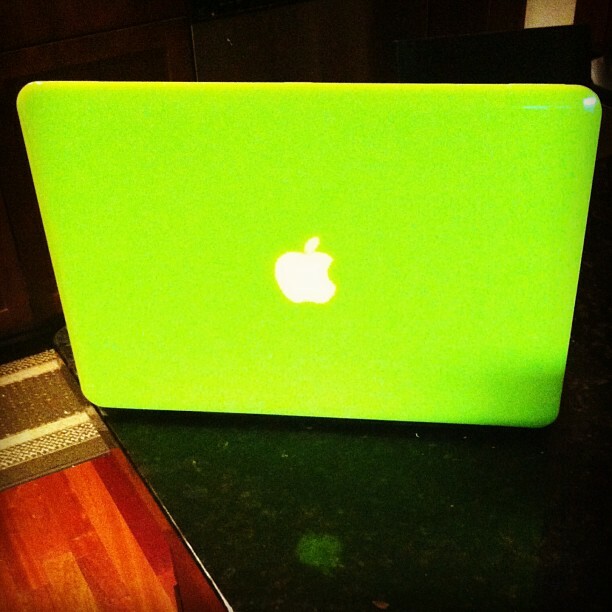 I'm loving this lime green color at the moment for some reason! Even found an iphone case in the color! Your shoes are fabulous! LOVE the color! I'm so excited that Spring is around the corner! LOLOL @ wearing them with EVERYTHING!!! You show him chica!!! 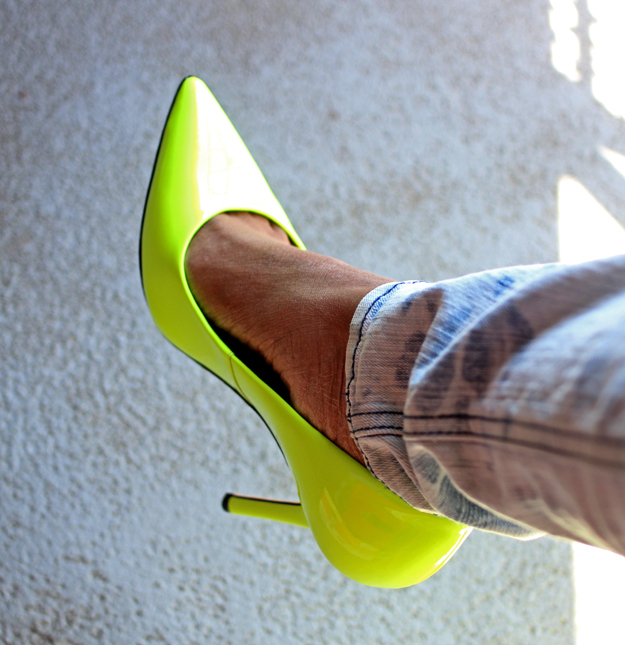 I need those floresent green pumps! Love those! Great blog! I always love finding new and interesting bloggers to follow...keep it up! I'm digging the neon. But I totally started singing Mariah's "Obsessed" under my breath, haha.